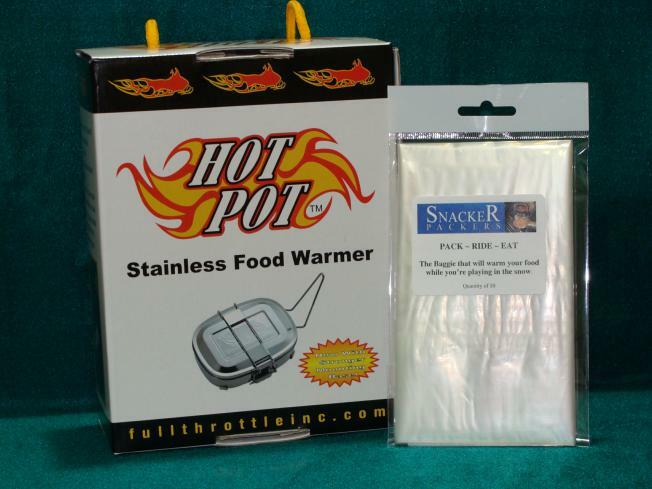 SNACKERPACKERS are a custom size mini bags that are heat - resistant nylon bags for warming foods in your exhaust pipe/muffler cookers such as the Hot Pot. Our bag materials meet FDA approval. Cooking time varies on riding conditions and snow conditions. A groomed trail ride will generally take longer because the snowmobile motor is not working as hard, as if you were to be hill climbing or be riding in deeper snow the motor will build more heat thru the exhaust resolving less time to warm your food. Our bags are sold in the quantity of 10 per package, and it includes shipping and handling. Canadian's please contact me before ordering.